This year, we waited to take our vacation. 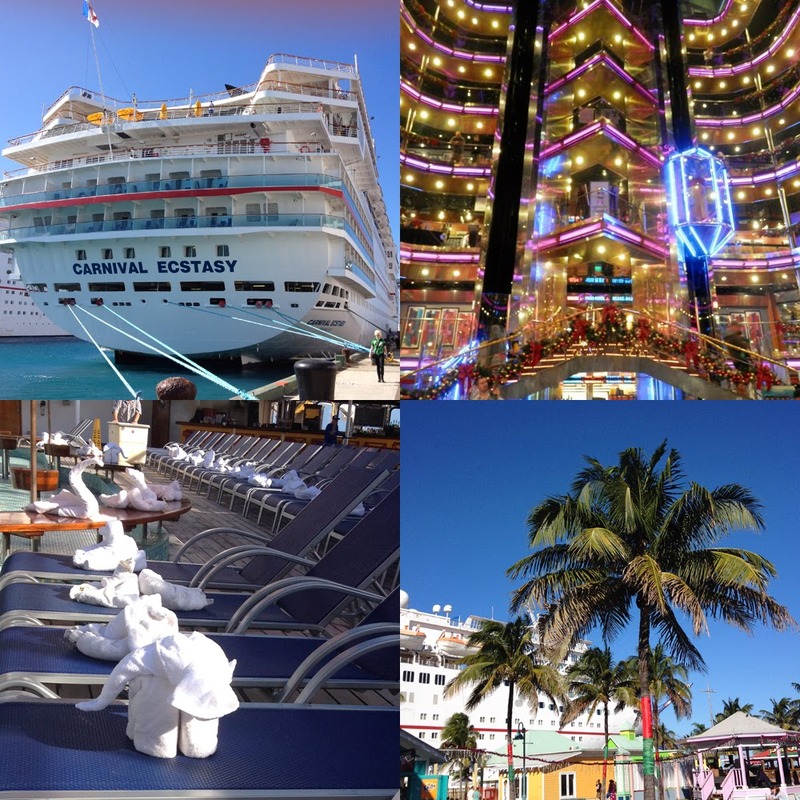 We were talking to our friends earlier this year and I mentioned how much I wanted to go on a cruise. 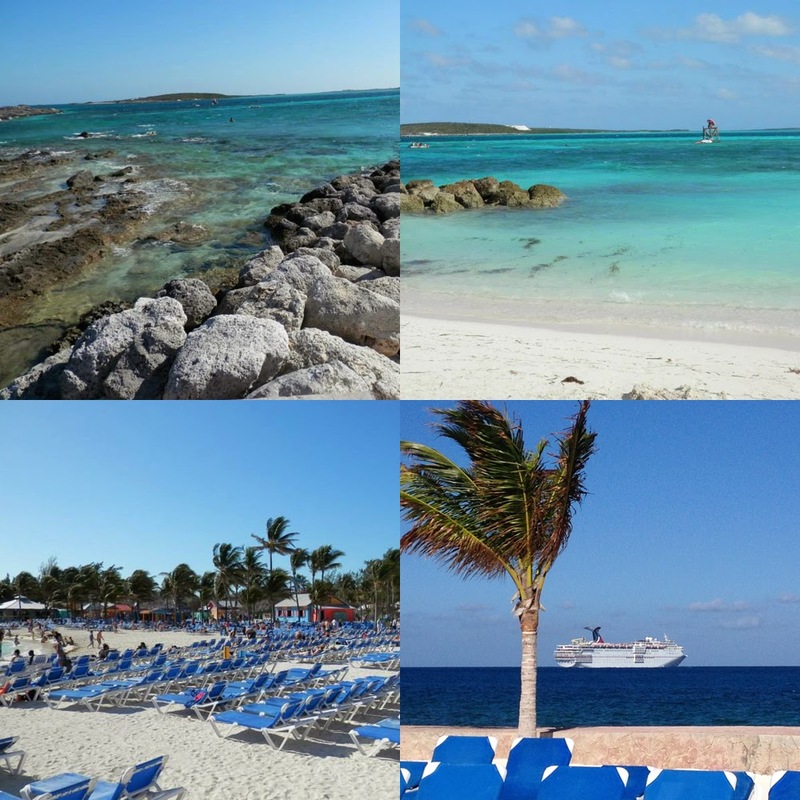 They had already booked their cruise for December to celebrate their anniversary so I can't quite remember if we invited ourselves or if it was a mutual agreement that we book ours for the same week and go together lol I'm going to go with the second option ;) It was really tough to wait so long to take our vacation but we had SUCH a great time. The weather was perfect. While everyone was at home freezing, we were soaking up the sun in our bathing suits. I want to be back there so bad. 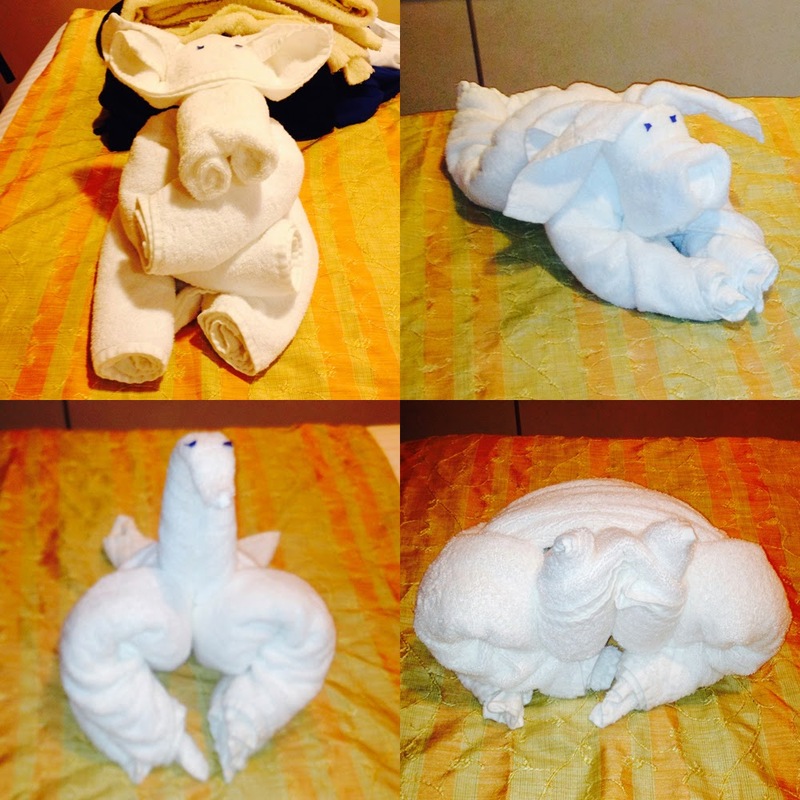 These are our cool lil' towel animals that our room guy made for us each night. We didn't even take our big camera out of the bag. So it was a trip of iphone pics and selfies lol and for this time....that is ok with me. Ah...the Caribbean. Can I please go back? umm...now? We only took one picture of just the four of us. Crazy right? 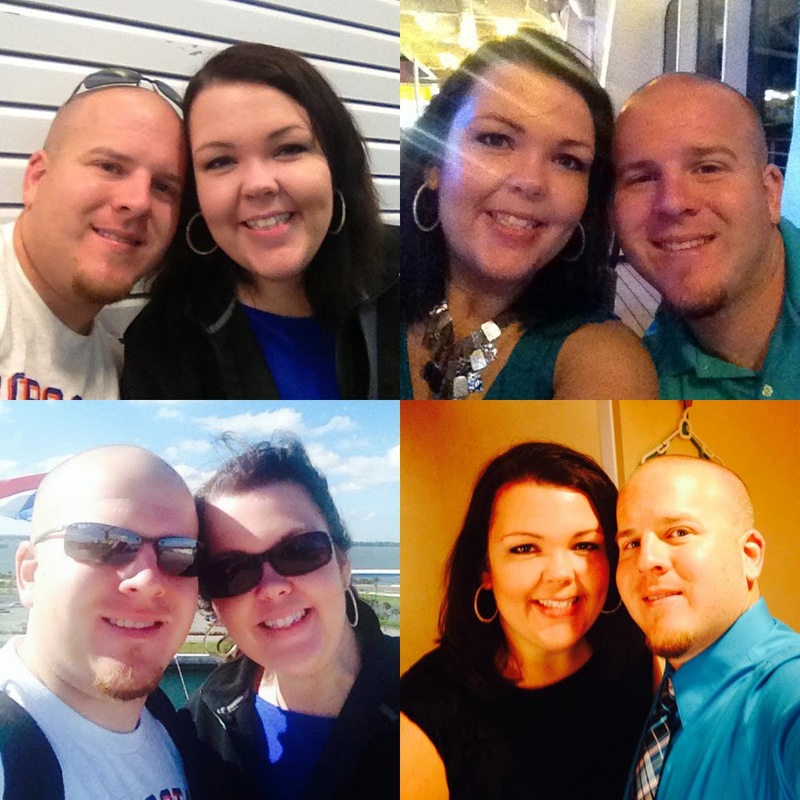 We clean up pretty nicely though... and might I add that I'm about 75lbs lighter than I was when we went on our honeymoon cruise. That was a nice feelin' for sure. We went with Carnival this go around. 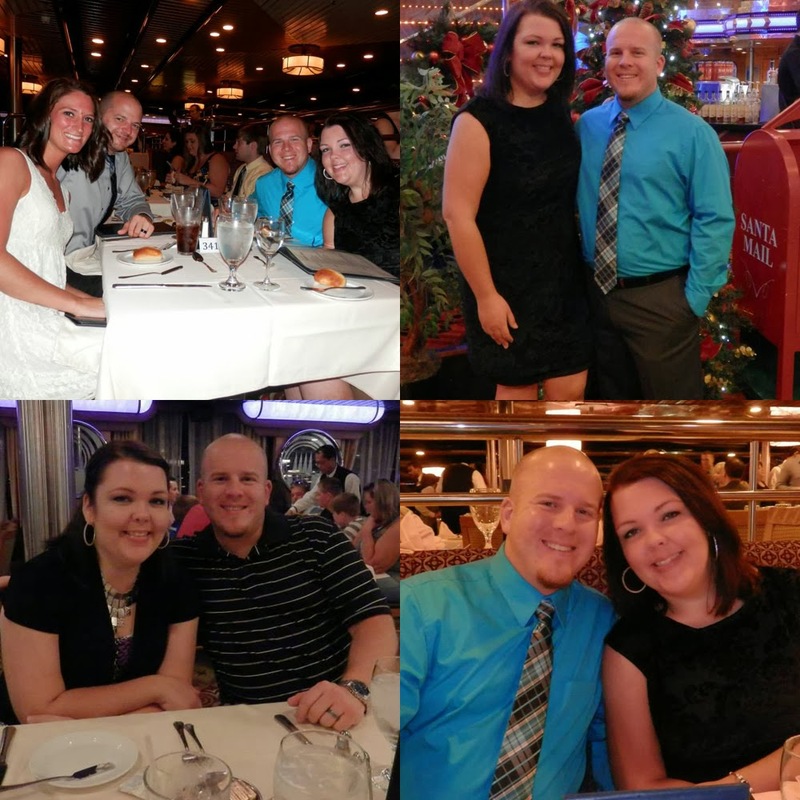 We went Royal Caribbean for our honeymoon. Not really sure which one I liked better. They were basically the same. I will definitely spring for a balcony suite next time. We had one for our honeymoon and opted for oceanview this time. The size of the room is about half the size of the balcony room. They decorated the ship for Christmas which was cool and weird all at the same time :) On the last day, the crew put towel animals out on all the chairs. I thought that was pretty cute. Anyway....that's where I've been :) I'll post Christmasy stuff tomorrow (maybe). We are wanting to go on a cruise soon. It looks amazing..